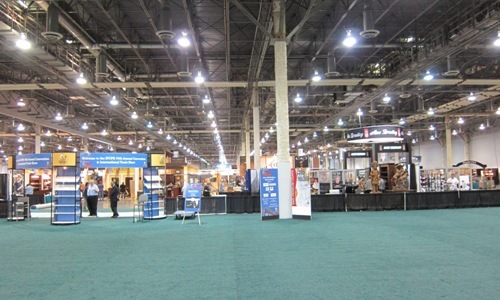 Early Morning Update: Yesterday I attended the IPCPR seminars conducted for members of the association (StogieGuys.com is a Online Media Member of the IPCPR). In the first seminar, IPCPR brought in an expert on social media marketing to help “de-mystify” social media (Twitter, Facebook, etc…). Some cigar makers and cigar shops have completely embraced social media (La Aurora, Tatuaje, and Drew Estate come to mind) and they’ve reaped the benefits, so it’s good to see the IPCPR educating its members on how to reach cigar smokers through social media, though I could have done without the constant sales pitches in the presentation. (I’m not sure whether this seminar was in the works already, but I should note that at one point we had discussed with the IPCPR leading a similar panel on social media and blog outreach, so obviously I thought the seminar topic was a good idea.) The second seminar featured an expert on productivity and increasing job satisfaction. This was also good to see because (as I’ve written) there’s nothing worse than a lazy or apathetic employee ruining what should be a great cigar shop experience. The final seminar, and my personal favorite, was a tasting seminar lead by José Blanco (who we interviewed here). Last month Blanco announced his retirement from La Aurora after 30 years with the company, but he didn’t leave before leading his famous tasting seminar one last time. 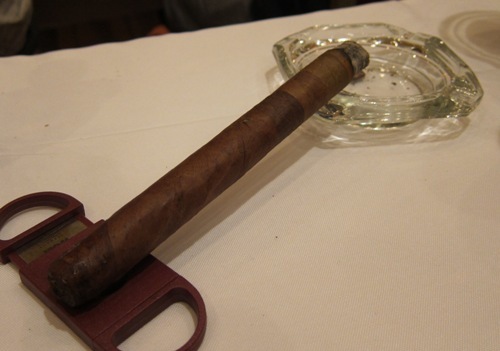 Attendees smoked one cigar (pictured above) with five different wrappers. The experience lets smokers experience the impact of each wrapper (Ecuadorian-grown Connecticut, Cameroon, Ecuadorian-grown Sumatra, Brazilian mata fina, and Dominican corojo) on the flavor. Midday Update: After a breakfast headlined by comedian Ron White, the Trade Show finally opened at 10am and business could begin in earnest. While official numbers haven’t been released, the consensus seems to be that attendance is up, though nearly everyone expected Las Vegas to draw better than last year’s locale, New Orleans. 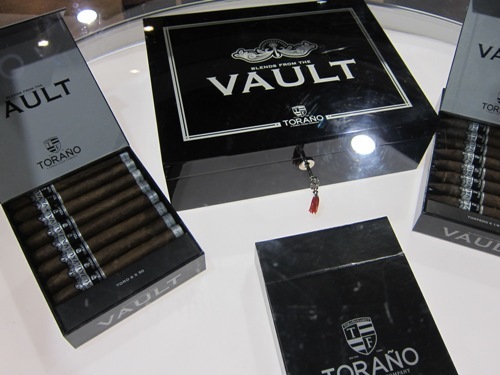 I dropped by the Toraño booth to see the new Vault and Loyal blends. Loyal (a value-oriented line costing around $5) is shipping now, while Vault is currently aging and will be due out in late September or early October. Vault features a shade-grown Nicaraguan wrapper, dual binders (Ometepe and Jamastran) and filler from Estelí and Condega. The line currently features three regular sizes in boxes of 20 and a limited Corona Gorda (5.6 x 46) that will sell in a special humidor and also may be used for events. Toraño was all set to distribute Sam Leccia’s new cigar line. However, a ruling in Oliva’s lawsuit against Leccia, in which Oliva is suing Leccia for allegedly breaking his non-compete clause, bars Leccia and his new Sam Leccia Cigar Company from participating in the show. The ruling meant Toraño had to scramble to to eliminate references to Leccia from its booth, even scribbling over his logo on their price sheet. Afternoon Update: After lunch I visited with Abe Flores of Pinar del Rio. Abe makes some great cigars, especially considering that practically all his cigars are in the $4-8 range. He’s expanding his 1878 line with a Capa Habana and the official release of the Capa Natural line. 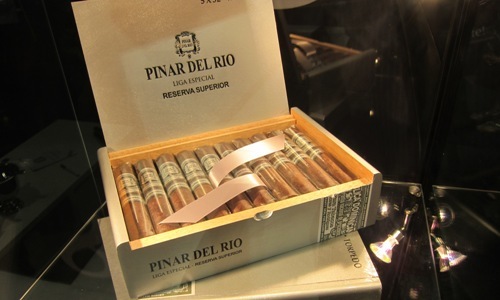 Also new is the PDR Reserva Superior, which features an extremely dark and oily Dominican maduro habano wrapper, double binders (from Brazil and Nicaragua), and filler that is mostly Nicaraguan with just a bit of Dominican leaf. The cigar sells for $7.50 per stick and only 600 are being made. My next visit was with General Cigar to learn about the company’s new blends. Highly anticipated is the new CAO OSA Sol, which I finally had the opportunity to try. I found it to be a medium-bodied smoke that starts a bit slow but quickly ramps up with a dry spice and highly evident Honduran flavors that keep the blend interesting. The cigar will hit retailers in September with a large “OSA Nation” tour of in-store events. If it’s a hit (and I think it has a good chance of being one) you may see further variations of the OSA blend with shade-grown or maduro wrappers. 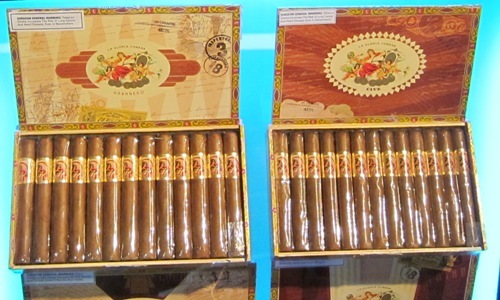 Another new line from General Cigar is the new La Gloria Cubana Retro Especiale, which will retail for $7-8.15. The blend has a Honduran-grown Connecticut-seed wrapper with dual Nicaraguan and Mexican binders around filler from Nicaragua and the Dominican. Interestingly, this cigar was blended so that the binder and filler dominate while the wrapper is mostly for looks. Speaking of looks, the cigars come in very attractive art deco style wooden boxes, with a unique box for each of the four sizes. Also out from General Cigar are new sizes in the Macanudo Vintage 1997, Cafe, and Cru Royale blends, and a new Cohiba Edición Dimante, which uses the same 30-year-old wrapper as the Partagas 150.